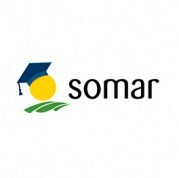 This programme, designed by Tradecorp, endeavours to train collaborators in sales and to retain talent in the face of the new challenges that the company must confront.Somar is a programme that has been created by Tradecorp Brasil with the purpose of training sales staff so that they can face the challenges of growth and technological innovation within the company. It is divided into 18 modules of 20 hours with classes held every 40 to 45 days. “The work premise originated when we realised we had to redesign the profile of our sales staff. Through a group consultation we designed a new description for the functions of our sales staff. We concentrated on the different skills and knowledge that our professionals should possess in order to adapt to the new professional profile which corresponds to the strategic reorientation and development for the future of the company”, says Luiz Schmitt, sales manager for Tradecorp Brasil. Following a preliminary analysis, tests and individual interviews, a skills programme for the sales staff was created and now, after two and a half years, Tradecorp can count on a sales team that is appropriately trained, skilled and prepared to confront the challenges that the company will have to face as of 2015.